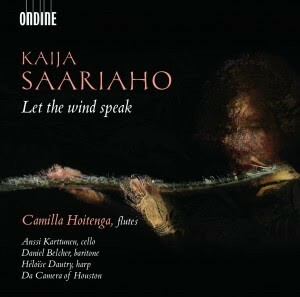 Kaija Saariaho and Camilla Hoitenga met for the first time in 1982 and their collaboration has been active for many years. Hoitenga has partly inspired several of the compositions heard on this disc. Besides premiering flute works by Saariaho, she has championed Saariaho’s flute works around the world. This release includes, among others, the world premiere recording of Sombre, a work originally commisioned by the Da Camera Society of Houston, Texas to be premiered at the Rothko Chapel. Orjan Sandred is a Swedish electro-acoustic composer who spends his summers in Europe, and his winters teaching at the University of Manitoba in Winnipeg, Canada. In this podcast, he describes his approach to sound and composition as he creates music that combines live performers with computer generated or altered sounds.